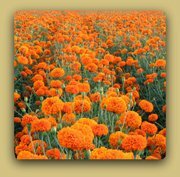 Day of the Dead history in Mexico is traced back to pre-Hispanic days although the celebration as we know it today has little to do with the festivals held by native cultures. 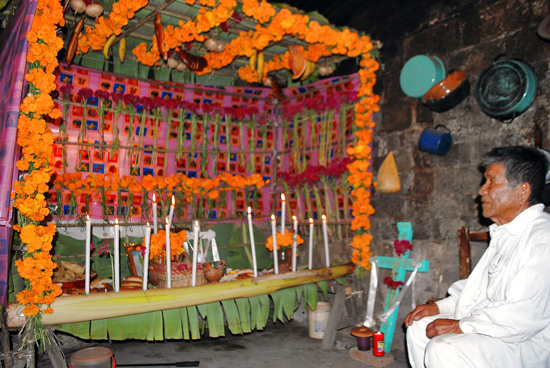 It has been proven that Mesoamerican cultures like the Mayan, the Zapotec and the Aztecs held celebrations to honor their ancestors but the actual way these celebrations were made is unknown. Some Spaniards chronicled the celebrations they saw in the area before Catholicism was imposed to the native cultures but their versions are unclear, contradictory and biased by the differences between their culture and the native ones. It is known that the Aztec held big celebrations to honor their ancestors in the 8 and 9 month of their calendar and that the first one was to honor the dead children and the second to commemorate the adult dead. It is also acknowledged that in Aztec mythology Mictlantecuhtli was a god of the dead and the king of Mictlan the lowest and northernmost section of the underworld. 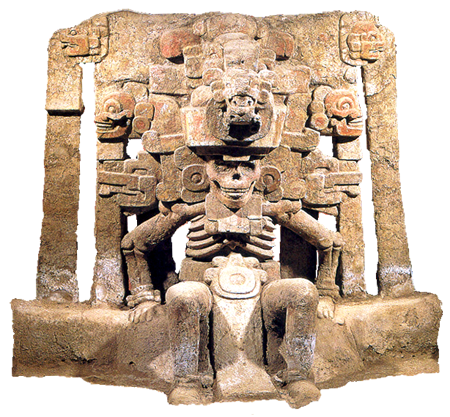 He was one of the principal gods of the Aztecs and was the most prominent of several gods and goddesses of death and the underworld. Mictlantecuhtli, the Aztecs lord of the underworld. 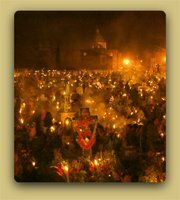 Catholic religion celebrates the Commemoration of the Faithful Departed the 2nd of November which is also known as All Souls' Day. The origin of this celebration is commonly related with the Celtic celebration of the Samhain held at the end of the harvest . The Celtics believed that during these days the barrier between our world and the Otherworld stretched and that good and bad spirits could visit our world. This celebration was assimilated by the Romans when they invaded the Celtics and they combined it with the harvest celebration in honor of Pomona Goddess practiced at the end of October. In 700- 800 AC as an effort to eradicate all the pagan celebrations, the Catholic Church banished it and established the All Saints Day in November 1st and the All Souls' Day in November 2nd to replace it. For the Spaniards the souls of their ancestors come back in the first days of November. In some areas of the country it was a tradition to visit the cemeteries in the afternoon of November 1 to clean the tombstones and decorate them with flowers, set candles and food holding a wake until the morning of November 2. This ceremony was done to honor their dead, let them know they´re remembered and to ask for their protection. This tradition however has been lost and nowadays most people would only visit the cemeteries to set flowers on the tombstones and leave afterwards. 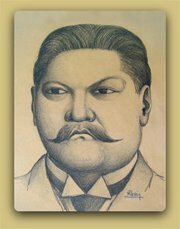 After the conquest war was won by the Spaniards, missionaries and priests came to The New Spain to evangelize the Indigenous people. 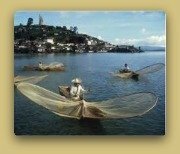 All the native temples were destroyed and Catholic churches were built in their ruins; the locals were forced to convert to Catholicism and all of their traditions were banned; they were compelled to live the way the conquerors wanted them to, and to commemorate the same festivities they did. Some Spanish chronicles from the time narrate that All Saints Day was adapted to remember the dead children while All Souls' Day became the day to honor the dead grownups. 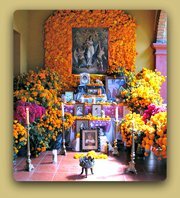 Local flowers and food were added to the Spanish altars and eventually the colors and shapes of the Indigenous people transformed the Catholic celebration blending it with the remains of the native cultures. After the independence war a new and diverse country was born and new customs were added to the celebration. 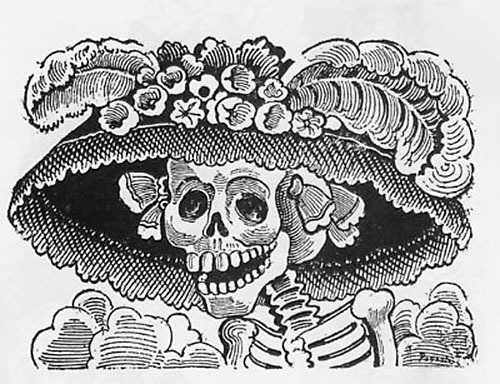 At the end of the 19th Century Jose Guadalupe Posada's art work expressed in images the Mexicans intimate and comfortable relationship with death and their dead. 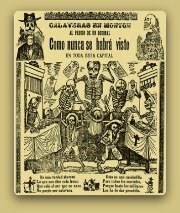 Tireless printmaker and engraver Posada participated in the creation of the calaveras, satirical epitaphs describing the hypothetic dead circumstances of politicians and rich people accompanied with illustrations of skeletons that portrayed the satirical event. 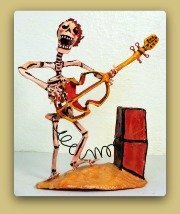 It was in this gender that Posada created La Calaca Garbancera which after the Revolution war became La Catrina, the iconic skeleton lady that represents Death. 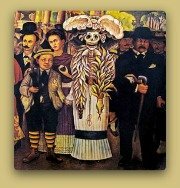 Posada's artistic legacy has helped the next generations of artists to express the cultural meaning of the Day of the Dead celebrations which blended with the many folk art styles in the country creating the beautiful Day of the Dead Art. 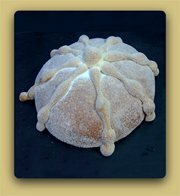 After the Revolution war the country entered an era of prosperity and new elements were added to the celebrations like the papel picado or chiseled paper flags and the commercial Day of the Dead bread. 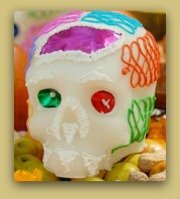 Day of the dead celebrations held by the Indigenous people in Mexico were named World´s cultural heritage by the UNESCO in 2003. 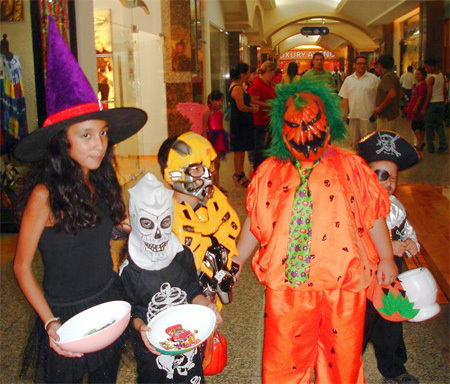 Although Day of the Dead continues to be one of the most important celebrations around the country; television shows, supermarkets and shopping malls promote the celebration of Halloween between the children who are attracted to it because of the free candy and the chance to wear a costume.